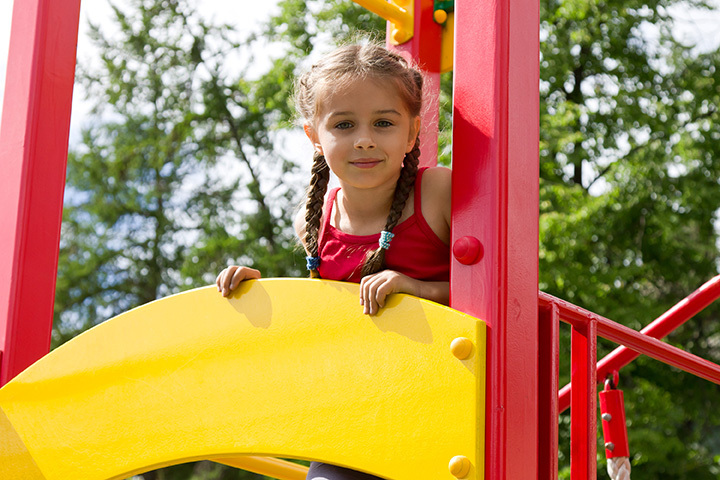 When warm weather arrives, one of the best ways to spend time outdoors is by bringing your children to the playground. Not only is this a place for your little ones to let their imagination run free, but it also promotes getting active. For a fun safe space for your children to play, check out the best playgrounds in New Hampshire. Planet Playground features a wealth of playground equipment options for kids of all ages. The park is big and nicely shaded from the summer sun. There are plenty of benches for parents to relax upon while the little ones play. The playground at Livingston Park is situated in the middle of a large, green expanse. The equipment is great for kids of all ages, and when they want to switch things up, there’s ample space to toss a ball or organize a game of tag. A public swimming pool is adjacent to the playground. Many families pack lunch and swimsuits and spend the day. Portsmouth’s South Playground features one group of playground equipment for toddlers and another for older children. The adjacent hills are shaded, and a great place to picnic or to simply roll down. A public fenced dog park is beside the playground, affording views of breeds of many kinds. Field of Dreams is a modern, innovative playground with two distinct play areas—one for toddlers and one for older kids. There’s even a zipline for the older children to enjoy, with parental supervision. Completely redone in 2017, Henry Law Park has an excellent playground, perfect for all ages. There’s also a summer water feature allows some splash time. For those wanting to add a diversion to playground time, the Children’s Museum is right next door! A tiny, but well equipped fully fenced in playground, Cater Park “caters” to more foot traffic than any other park in the city. Featuring swings and a large climbing structure, part of which is meant to be a boat, the playground amuses children for hours. Two sets of swings and a basketball court, in addition to benches, makes for a fun way to spend an afternoon. Twin Bridge Park features a playground made of wood, with climbing and exploration fun for kids of all ages. Plenty large enough for parents to join in the fun, this makes it perfect for the little ones, too. This place is big enough that if you bring lunch or snacks, you can easily spend over half the day. Featuring a large playground with lots of modern equipment, the Ann De Nicola Memorial Playground is one of the cleanest playgrounds around. Offering something for all ages, there’s a toddler playground and one for older kids, too, all within this large expanse. Located on Pine Street, the Pine Street Playground is small, but it packs a mighty punch. Featuring swings and a climbing wall, it has something for children of all ages. There’s a basketball court for pick up games, and plenty of benches for the parents and caregivers.